Cheesy Tuna Casserole with Egg, Grilled Red Onions, Mushroom and Chives. Too chilly for cold Tuna Salad Sandwiches? Take comfort to the next level with this warm Cheesy Tuna Casserole. It is easy to make, quick to bake and deliciously satisfying. Make a nice big Casserole- the good news is that it tastes even better the next day. 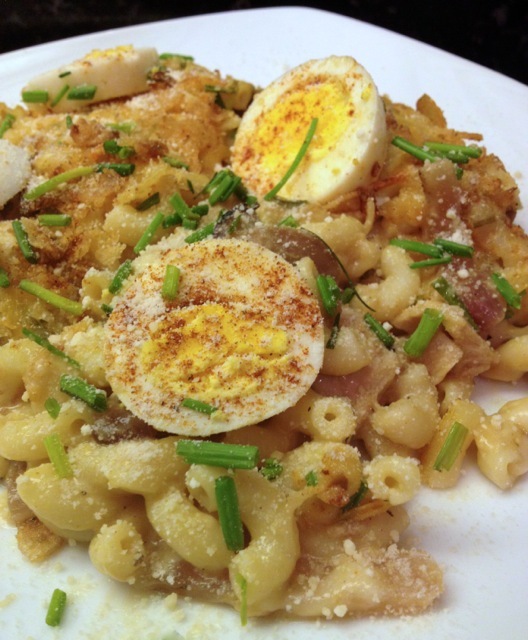 While boiling Macaroni to al dente, boil Eggs and Pre-heat Oven to 420. Cut Red Onions into 1 inch slices, season with #BBQRub and grill for 5 minutes per side, once cooled dice Onions (may alternately pan sear Onions before next step). Heat Whipped Cream in large pot (big enough to add Macaroni). Add 1 Tbsp. 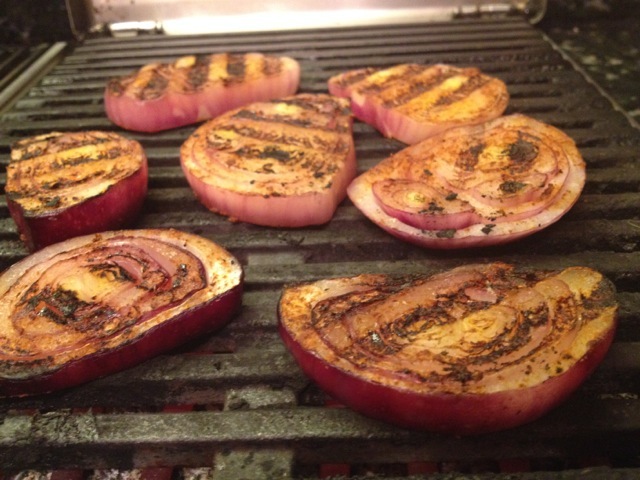 BBQ Rub, Sliced Mushrooms, and Chopped Grilled Red Onions. We also added a tied bundle of fresh Thyme and removed before adding Cheeses. Slowly stir in half each of the Cheddar and Swiss Cheeses until sauce is smooth and creamy. Gently fold in Cooked Drained Macaroni, stir until evenly coated. Place drained Tuna on top, season with BBQ Rub add half of Chopped Chives. Add Salt and Pepper to taste. Butter Casserole Pan, add Macaroni Mixture layering evenly with Cheddar and Swiss Cheeses, placing final layer of Cheese on top. Sprinkle with crushed Potato Chips and a little more Chives. Bake Casserole at 420 for about 20 minutes, until crumbled Potatoes start to brown. Slice Boiled Eggs into 1/2 inch Medallions. Once done, let Casserole rest for 10 Minutes. Garnish on top with Eggs, Chives and final sprinkling of BBQ Rub (Grated Parmesan optional). Enjoy. Grill Onions to get nice char, but not too soft. 2. 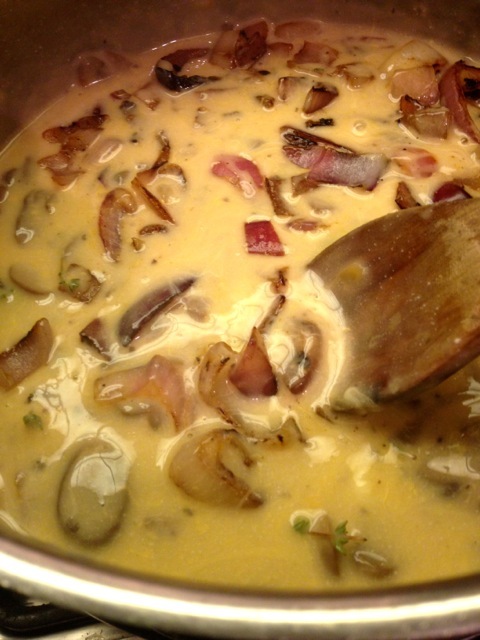 Make Sauce mixing in Whipping Cream, Mushrooms, Chopped Grilled Red Onion, Cheeses and 1 Tbsp. POWER Rub. 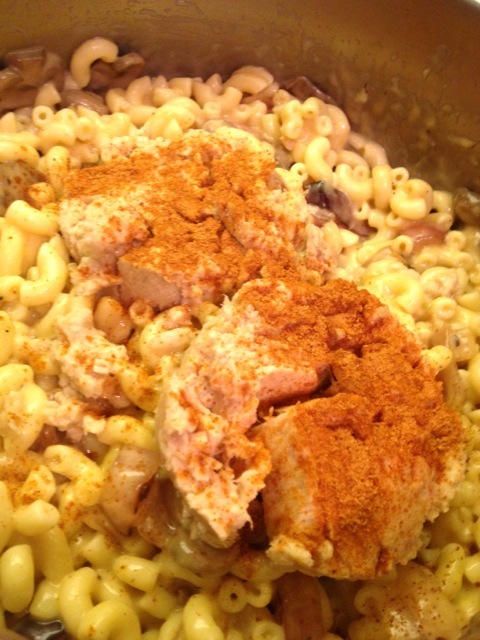 Add Cooked Macaroni, coat evenly with sauce. Add 2 Cans Tuna, Season with POWER Rub. Genly break it into mixture in Chunks (don’t break up too much). 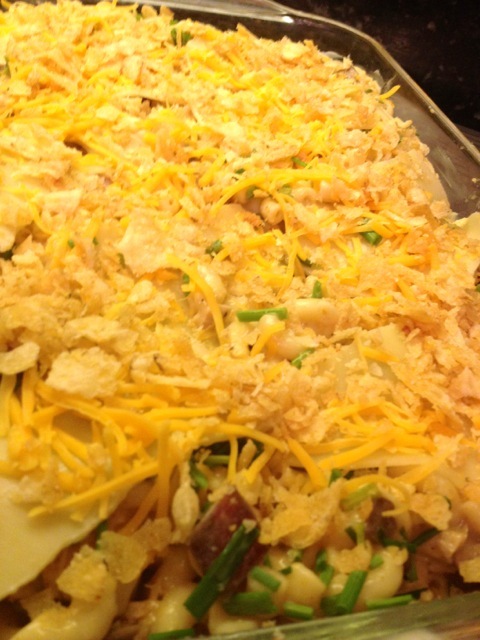 Mix Macaroni and Cheeses in buttered Casserole, layer top with Cheeses, Crushed Potato Chips and Chives. Bake for 20 minutes until browned. 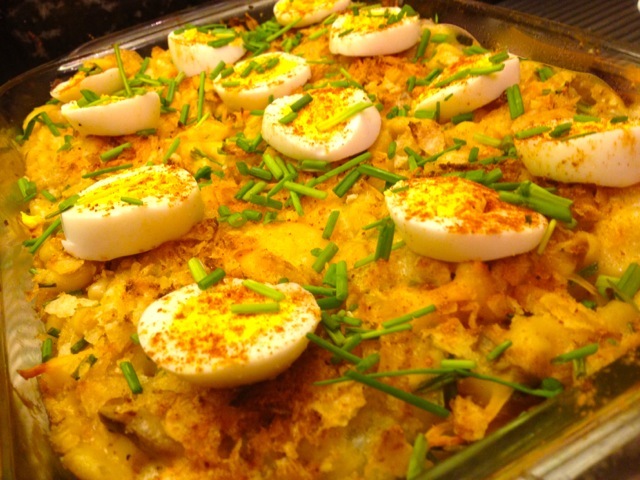 Plate Casserole garnished with Egg Medallions, Chives and POWER Rub. Optional sprinkle of Parmesan if available.